Get ready to see the hottest handles, fastest feet, and most intense basketball action when we showcase the nation’s best 3x3 ballers featuring NBL, WNBL, and State League players. We’ll be bringing the good vibes with DJ sets, live entertainment, chill out pods, food trucks, and more. So get the family together, or grab your friends, and join in the fun! Live entertainment, DJ sets, food trucks, a chill out zone, 2-point shoot outs, and up close and personal action showing you what 3x3Hustle is all about! "Hey look, I'm on TV! ": The NBL 3x3 Pro Hustle Tour Melbourne will be broadcast LIVE on Fox Sports from 2.30pm - 5pm, so look sharp! Former NBL MVP winner and NYC street ball legend, Corey ‘Homicide’ Williams! "Homicide" is NBL royalty, and with the NYC street ball legend joining the NBL commentary team, he's taken his profile to new heights. He'll be heading up the 3x3 Pro Hustle Tour commentary team, dropping his street ball knowledge to the masses, while adding his trademark flair. 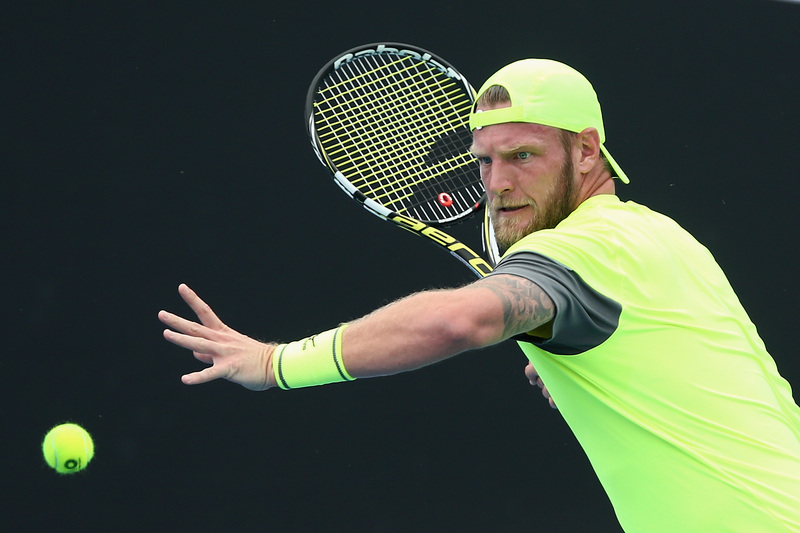 Aussie Tennis star, and holder of the world's fastest serve, Sam Groth! Sam’s tennis career highlights include being an Australian Davis Cup player, winning the 2015 Newcombe Medal (which is awarded to Australia’s most outstanding tennis player for the year), and holding the world record for the fastest serve ever recorded in a tournament. 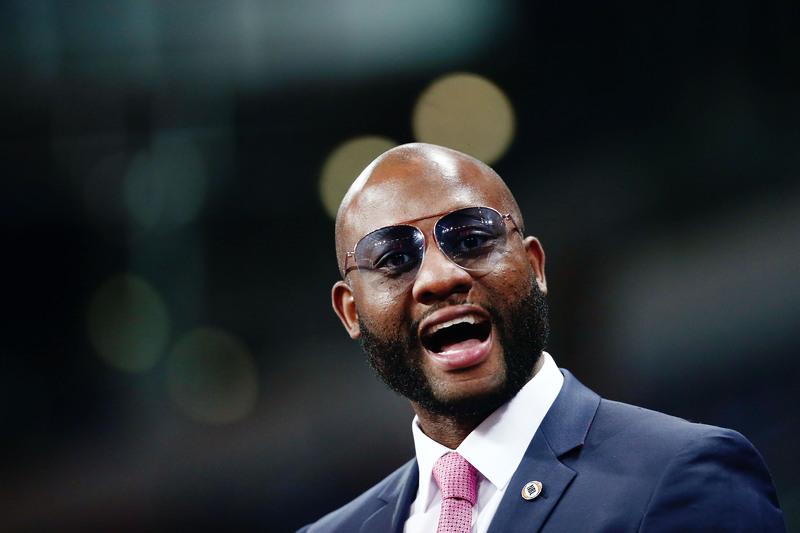 Sam retired from professional tennis after the 2018 Australian Open and has embarked on a promising media career which has included commentating and regular appearances on television and radio. In 2019 Sam joined Channel Nine’s Australian Open commentary team, and will be joining the 3x3 Pro Hustle Tour commentary team this year! Patrons should enter via Gate 5 (Langs Road), where gate security will direct them to the Town Square Car Park. 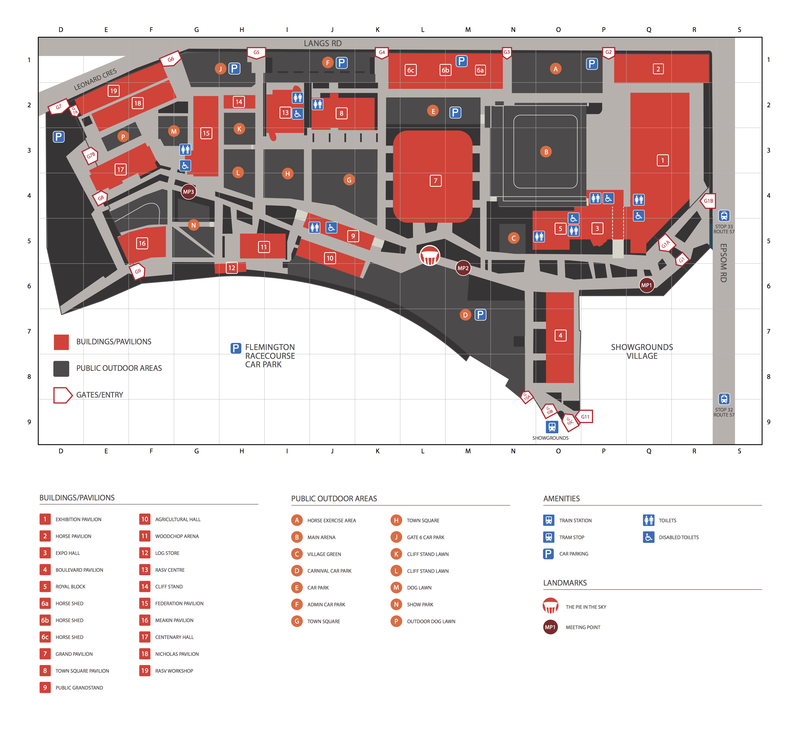 For further information on access and getting to the Melbourne Showgrounds, please click HERE. Venue parking: $10 per vehicle. The 3x3 Pro Hustle Tour will be taking over three amazing location this March and April, with the second stop being the Geelong Waterfront! Get ready to see the hottest handles, fastest feet, and most intense basketball action when we showcase the nation’s best 3x3 ballers featuring NBL, WNBL, and State League players. We've purpose built an outdoor stadium on Steampacket Gardens so you can experience the hustle in all its glory! The three-day extravaganza will be FREE ENTRY to the public, and will feature live music, street artists, kids and chill out zones, food trucks, 2pt shootouts, 3x3 skills challenges, and celebrity appearances. But if you want to witness the best 3x3 Pro Hustlers battle it out, our RESERVED SEAT Centre Court tickets have what you need. 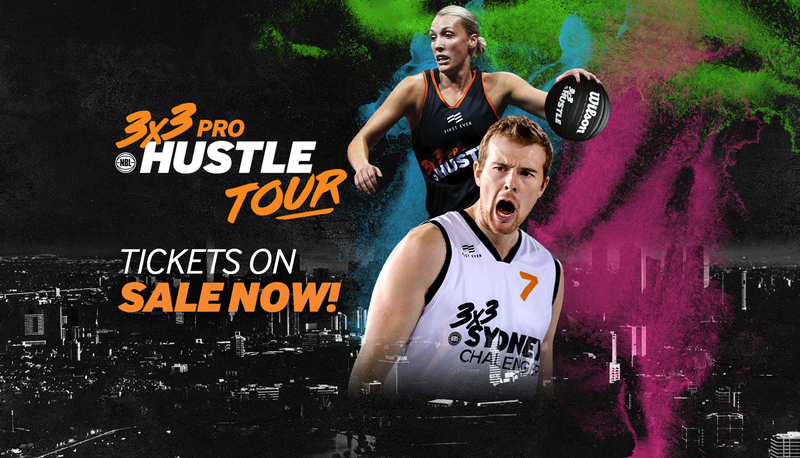 Featuring NBL, WNBL, and State League ballers vying for Pro Hustle supremacy, this is the big-time - tickets start from $7.50, so get in QUICK to secure your seat. Want the COURT SIDE experience? The 3x3Hustle VIP Lounge will have you rubbing shoulders with the stars, with tickets including: Guaranteed court side seating, three-hour food and beverage package, celebrity appearances, and 3x3Hustle Merchandise packs. NETFIT has teamed up with 3x3Hustle to deliver exciting NETFIT, HOOPFIT and FOOTYFIT classes at this year’s 3x3 Pro Hustle in Geelong. On Saturday April 13 at 10am, the NETFIT team will take centre stage at the Geelong Waterfront and deliver exciting workouts for 3x3Hustle fans in attendance. The NETFIT session will be run by Melbourne Vixens premiership player Sarah Wall, the HOOPFIT session will be run by Australian and New York Liberty basketball player Bec Allen, while the FOOTYFIT session will be run by Western Bulldogs premiership player Bonnie Toogood. Wall, Allen and Toogood will be bringing NETFIT, HOOPFIT, and FOOTYFIT to the Geelong Waterfront, delivering exciting workouts for 3x3Hustle fans of all ages! Don’t miss your chance to work out for FREE on Saturday 13 April 10am – 11am. So get the family together, or grab your friends, and join in the fun! FREE ENTRY to our 3x3Hustle Kids and Community Day which will run on Friday 12 April from 10am until 3pm. With free basketball clinics from 10am – 12pm, a 3x3 Street Hustle tournament from 12pm – 3pm, and free activities and roving entertainers throughout the day, there is something for everyone to enjoy. You can register to play in our 3x3 Street Hustle tournament HERE. "Hey look, I'm on TV! ": The NBL 3x3 Pro Hustle Tour Geelong will be broadcast LIVE on Fox Sports from 2.30pm - 5pm, so look sharp! Tickets from $7.50, book now to secure your seat! Dance the night away with Australia’s #1 RNB, DJ Horizon! A superstar DJ, Horizon is the #1 RNB DJ across the airwaves, clubs and festivals of Australia. Having toured the country playing in front of huge crowds at both concert stadiums & festivals, he's ready to take the 3x3 Pro Hustle Tour by storm! Former Melbourne Vixens premiership player Sarah Wall, Australian Opals and New York Liberty basketball player Bec Allen, and Western Bulldogs premiership player Bonnie Toogood! Groth's tennis career highlights include being an Australian Davis Cup player, winning the 2015 Newcombe Medal (which is awarded to Australia’s most outstanding tennis player for the year), and holding the world record for the fastest serve ever recorded in a tournament. Groth retired from professional tennis after the 2018 Australian Open and has embarked on a promising media career which has included commentating and regular appearances on television and radio. In 2019 Sam joined Channel Nine’s Australian Open commentary team, and will be joining the 3x3 Pro Hustle Tour commentary team this year! AFL legends Danny Frawley and Adam Cooney, and commentator Cam Luke! Frawley is considered one of the greats of the AFL. The full back in the St Kilda team of the century, Frawley played 240 games for the Saints and is the longest serving captain in their history. Nicknamed Spud, he went on to coach Richmond for 113 games, after which launching a successful media career as both an expert and larrikin. Cooney at his peak was unstoppable, winning the Brownlow medal in 2007, he carved out a successful career at both the Western Bulldogs and Essendon. Arriving as a number 1 draft pick and with bright long blonde hair, Cooney’s pace and foot skills lit up AFL arena’s for over 10 years. Cooney has now joined the SEN team offering his quirky insights on everything AFL footy. He is also a very amateur 3x3 basketball player, starring in his local Wednesday night competition. Luke is one of Australia’s most knowledgeable basketball presenters. Covering both the NBL and NBA on the radio, Cam knows everything there is to know about hoops in both in Australia and abroad. The Block contestants Bianca Chatfield and Carla Dziwoki! Chatfield played on the Australian netball team for 11 years, vice-captaining her squad to a gold medal victory at the Commonwealth Games four years ago. Chatfield, who retired from professional netball after the last Commonwealth Games, now works in sports commentary for TV and radio, as well as moonlighting as a consultant for Collingwood Football Club. Originally from Adelaide, Dziwoki has spent the better part of the past 15 years travelling around Australia, playing for different national netball teams. She briefly relocated to the UK before returning to Australia where she finished her last playing year with the Vixens alongside Chatfield. After retirement, Carla began working with the Australian Cricketers Association. Geelong Cats AFLW players Maddy McMahon, Olivia Purcell and Richelle 'Rocky' Cranston! After finishing third in the Cats VFLW Best and Fairest in 2019, McMahon was selected as a rookie for the inaugural AFLW Season. McMahon has played Netball and Basketball at an elite level and finds herself playing numerous key positions across the ground, namely in the backline. She was selected in the initial Virgin All Australian Squad of 40 after a breakout season in 2019. Purcell took out the Geelong Falcons Best and Fairest award in 2018 after an incredible season resulting in a premiership for the Falcons. She represented Vic Country in four games at the 2018 AFLW under 18 Championships and was then named in the AFLW Under 18 All Australian Team. Selected at pick 14 in the 2018 National Draft, Purcell has had an incredible first season which resulted in a NAB Rising Star nomination in the Cats win against Brisbane with 20 disposals, 10 tackles and a goal. Geelong is located 75 kilometres southwest of Melbourne in Victoria, Australia. Geelong is Victoria’s second largest city and is only 60 minutes from the Melbourne CBD via the Westgate and Princes Freeways. By Car— Follow the M1 Highway direct from Melbourne to Geelong, in total this should be a 60-minute drive from the centre of Melbourne. By Public Transport— Public Transport Victoria offers trains from Melbourne to Geelong from Southern Cross Station. Trip will vary slightly in length, but on average take around 60 minutes. By Car — Exit Avalon Airport directly onto the M1 Highway towards Geelong. The journey will take approximately 30 minutes. By Public Transport— SkyBus operate regular daily services between Avalon Airport and Geelong. Trips take approximately 30 to 40 minutes. SkyBus has also partnered with local company Geelong Taxi Network to provide a pickup and drop-off service throughout Geelong, the Bellarine and Surf Coast. By Car — Follow the M2 Highway out from the airport and exit on the Western Ring Road/M80 before joining the M1 Highway to Geelong. The journey will take a similar time as from the city centre to Geelong, around one-hour subject to traffic conditions and time of day. By Public Transport — Catch the SkyBus from outside Terminal 2 to Southern Cross Station. Skybus shuttles leave every 10minutes and take approximately 20 minutes depending on traffic. From Southern Cross Station, PTV offers regular trains to Geelong. Trip lengths vary slightly, but on average take one-hour. Please check the PTV website regularly for the latest train travel information. You can also download the PTV App. Limited street parking is available around the waterfront area and is FREE on weekends. Please check signage to adhere to time limits. All day paid parking is available on Cunningham Pier (a short walk to Steampacket Gardens), at the Civic Car Park located on Gheringhap Street, or at Westfield and Market Square shopping centres. 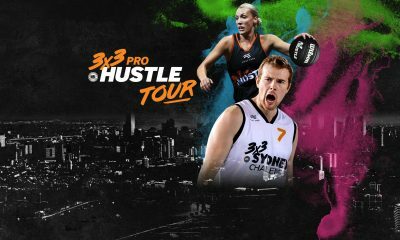 The 3x3 Pro Hustle Tour will be taking over three amazing location this March and April, with the third and final stop in Darwin! The last leg of the 3x3 Pro Hustle Tour will get the 2019 Arafura Games off to a hot start! The Arafura Games are a culturally iconic event for the Top End, and with the 3x3 Pro Hustle Tour in town, you’ll be able to get your fill of fast-paced basketball action, and see champions turn opportunities into greatness. Get ready to see the hottest handles, fastest feet, and most intense basketball action when we showcase the nation’s best 3x3 ballers featuring NBL, WNBL, and State League players. We’ll be bringing the good vibes with live DJ sets, 2-point contests, skills challenges, celebrity matches and more, you don’t want to miss this! Tickets starting from $5, book now to secure your seat! For more information on the Arafura Games, click HERE. The Darwin Convention Centre is located approximately 1.5 kilometres southeast of Darwin City in Northern Territory, Australia. By Car — Darwin International Airport is approximately 8 kilometres from the Darwin CBD and is located in the suburb of Marrara. Trips to the Darwin Convention Centre are approximately 15-20 minutes by car. So, what exactly is 3x3Hustle, and how is it different from 5-on-5? We've got all the answers right here! Stay up to date with the latest 3x3Hustle news by following our socials!